Moving, handling and bathing specialist Prism Medical UK has announced the launch of two products which form part of the moving and handling product portfolio – the Freeway Raiser and Freeway Bed Management System. Both products are designed and manufactured in the UK to the highest standard and quality, synonymous with our Freeway brand. Their robust quality and ergonomic design features makes them perfect for use in the community or nursing environments. is designed to provide an active, safe and comfortable transfer of the user. It is ideal for short distance transfers, such as to/from bed to chair. Its versatility allows use with wheelchairs, toilet and shower chairs. The Freeway Bed Management System provides an easy to use, low friction solution for patients who require frequent re-positioning. a nylon, water resistant under sheet with wide non-slip sides, and a fully breathable, water proof, quilted polyester soft-shell top sheet. 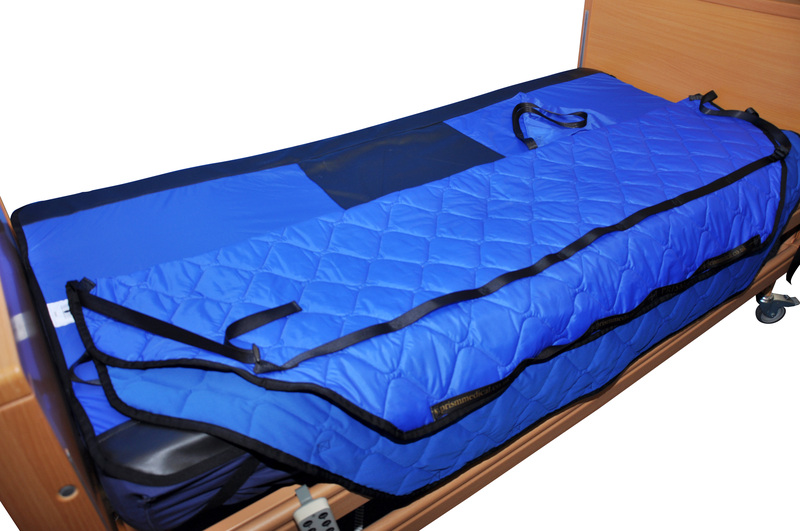 It provides ease of use by carers, and forms an ideal bed solution as part of a single handed care package. Also available is the Freeway Support Wedge which provides a firm support for a patient in bed and helps them remain in a required position. Prism Medical UK, Sales Director, Tom Reaney added: “The Freeway Raiser and Freeway Bed Management System are further examples of our ongoing commitment to our customers, in striving to provide the very best in quality, safety and comfort. Carrying the quality which is synonymous with the Freeway brand, we’re confident that these pioneering products will become an integral part of the moving and handling equipment required in care homes, hospitals, specialist schools and the home”.